This is supposed to get a wide release this weekend. 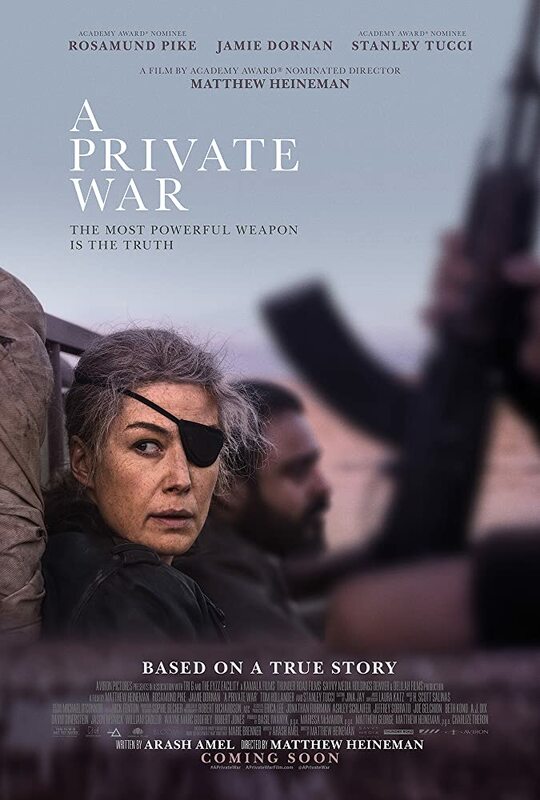 Rosamund Pike should have gotten a Oscar nom for this and she was better in this than Gone Girl and much more deserving than Melissa McCarthy. I watched this last night and it was really good. Sometimes I forgot I was watching a narrative feature instead of a documentary. No surprise considering that is the director's background. Pike was exceptional and yes, should've been nominated for an Oscar, especially over Yalitza Aparicio.